Karachi: People including Ali Gul Pir Bashed Aamir Liaquat for holding Shab e Barat Transmission in the PECHS Graveyard. Shab e Barat was observed last night in Pakistan. However, Dr. Aamir crossed all limits this time by selecting graveyard as a venue for the transmission. Yesterday, he did Shab e Barat transmission for BOL Television. However, Aamir is acknowledged as a controversial media personality. People often criticized him for his unusual steps. 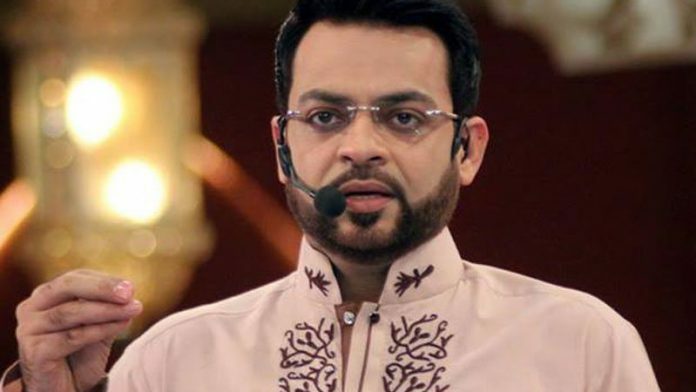 Some people are demanding CJP Saqib Nisar to take action against Aamir Liaquat for this action. In addition, Ali Gul Pir said that Dr. Aamir can also use hell as the set for his transmission.